Lemons can be found in mostly every family kitchen either resting in a bowl on the counter or cooling off in the refrigerator. It may be waiting to be used to make lemonade or some other recipe. Nowadays however more people are turning to lemons to serve other purposes. It turns out that lemons are amazing at performing many other tasks than just being added for flavor in drinks or foods. 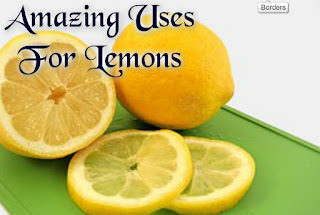 Lemons have a natural aroma without any harsh chemicals making them perfect for tackling many household chores. Thus far, in our home we have used lemons to tackle the following household chores. Sometimes we have used only lemons and other times have added other natural ingredients to strengthen its power. 1. Sanitize cutting boards. Rub a slice or two of lemon over the cutting board and then rinse. 2. Clean counter tops. Squirt some juice from a lemon over the surface and wipe with a damp cloth. 3. Bring life to discolored or dull utensils. Dip a cloth in lemon juice and wipe over utensils. Rinse with warm water. 4. Get rid of grease. Cut a lemon in half and rub salt on the inside of one half of the lemon. Rub the salted lemon over the affected area. Then wipe with a clean cloth. To be safe test a small area first to ensure the acids from the lemon does not cause further harm. 5. Make air freshener. Slice some lemons, cover with water, and let simmer in a pot for about one hour. Afterward place in pour liquid into small containers and place around the home. 6. Give faucets a natural shine. Rub lemon peels over faucets, rinse with water, and then dry with a cloth. 7. Clean wooden surfaces. Mix 1/3 cup of lemon juice and 2/3 cup of olive oil and use a clean cloth to wipe surfaces. 8. Wash floors. Cut up a lemon and squeeze out some juice. Add the pieces of lemon and the juice to some plain water. 9. Rid your hands from strong food odors. After handling foods such as garlic, onions, or fish rub lemon over you hands prior to washing them. 10. Renew hardened paintbrushes. Pour some lemon juice into a pot and boil. Place paintbrushes into the boiling water then lower the heat and leave for 15 minutes. Wash the paintbrushes in hot soapy water and rinse. 11. Whiten delicate fabrics. Instead of using chlorine bleach mix together some lemon juice with baking soda. Soak the fabrics in the mixture for at least 30 minutes before washing as normal. 12. Add power to your laundry detergent. Once the wash cycle starts pour in one cup of lemon juice. This will help to naturally get rid of stains while making clothes brighter and smelling fresh. 13. Lesson pet odors. After cleaning pet cages or litter pans rub some lemon peel over the surface to help keep odors at bay. 14. Deter insects. Instead of throwing away used lemon peels keep them. Place them around window sills, under the kitchen sink, and under the bag in your garbage container until they dry up. At the same time it will help to lesson odors. Do you use lemons around your home for purposes other than adding them to food or drinks? I love using lemons to clean. 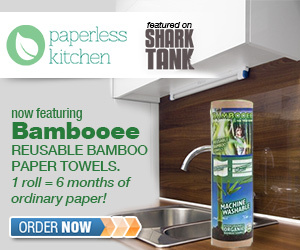 They are a great natural cleaning product! Been using Lemons in so many ways at home, this includes infusing it on water to remove toxins and lose weight. I help writing an essay regarding lemons in the past, which made me appreciate lemons more.